If your car has been in an accident and you need a free estimate, please stop by or fill out our online estimate form and get a prompt and courteous estimate from one of our professionals. After your vehicle is damaged, trust Hughes Auto Body and Paint to provide you with the most honest, fair and accurate estimate of how much the repair costs will be. 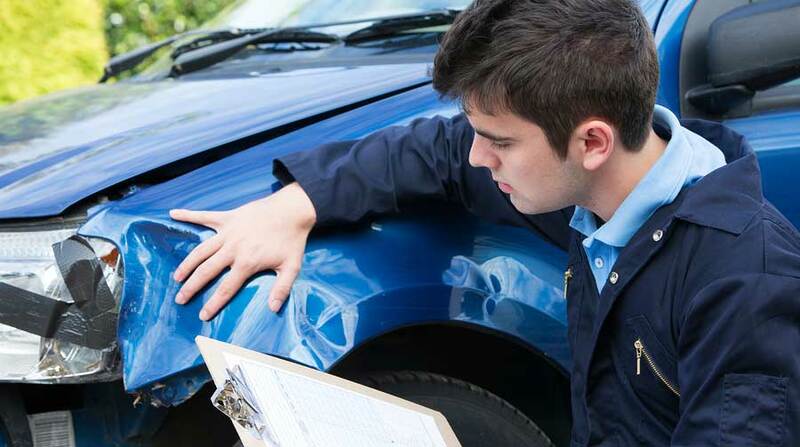 We will inspect your vehicle with our state-of-the art systems and give you a free estimate that includes parts and labor, plus the likely turnaround time for repairs. As the customer, it’s your choice which auto body shop works on your car. If your insurance company offers or expects you to visit a preferred body shop, remember that you have the right to choose your repair shop. We work with you and your insurance company to make sure that you’ll pay no out of pocket fees beyond your deductible, should one apply. Tell them you choose Hughes Auto Body and Paint.